The Evo is THE all-rounder of the range, best suited to Freeriders at home at all disciplines. The 5 strut design combined with the new Dacron frame, 3D Shaping and an updated tip strut design ensures an even cleaner profile and faster turning then in previous years. When hitting the waves, the Evo wants the rider to use a proactive steering style. If you wanna boost, take to the sky with the powerful lift and incredible hangtime. If unhooking is on your agenda, the Evo delivers! With this perfect blend of Freestyle performance added to the mix, the Evo won’t ever hold you back, doesn´t matter what you´re up to. The Evo is dressed to impress so make sure you are too. On the basis on my own sessions. Overall its a good kite. Would recommend it esepecially for flat and pop addicts. 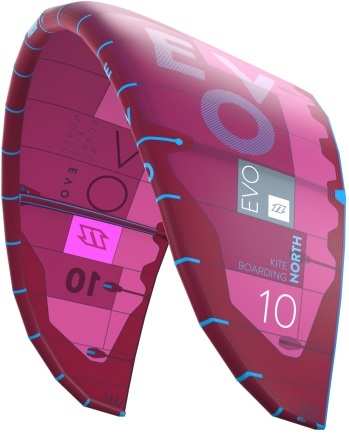 The Evo was still controllable, direct kite reactions with a good feedback, gradual lift, with long floaty jumps. In gusts above 25 knots, the bridles squeezed the leading edge a bit, but now strange deformations. With so much tension on the bridles and leading edge, you know this is the max for this 10m. Switched over to the North Neo 2016 7 m on 22m lines. Had more control, bigger jumps, higher, but less floaty jumps. 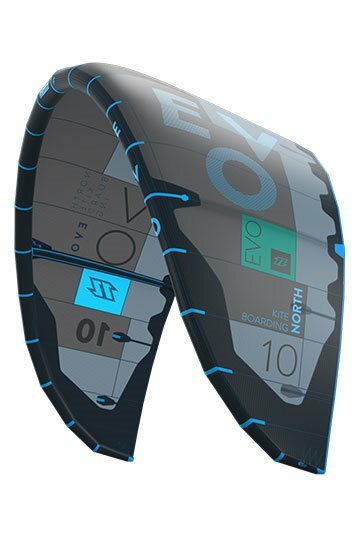 The Evo is an allrounder with a freestyle link, but the manufacturer description tells us " best suited to freeriders at home at all disciplines." So I tried 2 hydrofoil sessions. One in light wind around 10 knots and one in 15 knots. The first session in 10 knots the 10m Evo had a bit problems to stay in the air, still I could foil so the low end power building was great. The second session was at around 15 knots. The Evo was much more stable. Like always the North Evo has been fast & a great feedback in all wind window positions. Half wind downlooping the Evo works sweet. In the down wind tack the Evo had the intention to stop turning. Don't understand me wrong, this is not a bad note for the new North Evo, just a note to use the right gear combination. 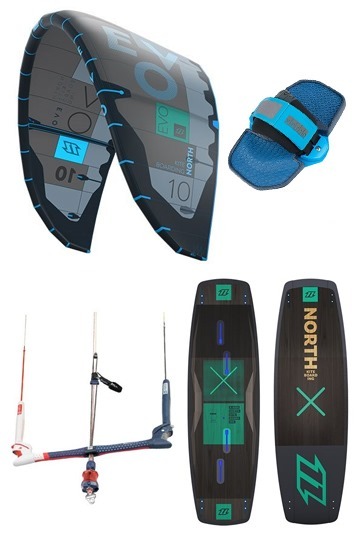 If you're looking for a North kite to start or go for a freeride hydrofoil session. My personal choice would be the North Mono or Juice (Light wind). Next time I'll take the Evo 10m out in +16 knots with a twintip or surfboard. The conditions where the new Evo like always should shine!